All of Israel was alarmed in August when Russia sent the advanced S-300 anti-aircraft weapons system to Iran, but there was no need to worry. Months ago, Rabbi Nir Ben Artzi had a Bible inspired vision in which he saw precisely what the fate of the missiles would be. In a lecture that he gave in September, Rabbi Nir Ben Artzi reassured his followers that the S-300 anti-aircraft weapons system Russia was sending to Iran would not be a threat to Israel, despite what military experts claimed. He cited Psalms as the source of his prescient knowledge. 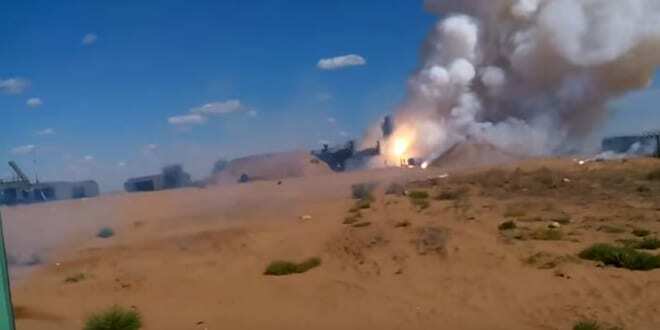 Last week, a video went up on YouTube showing precisely what the rabbi had prophesied: a missile shot out of an S-300 launcher but its rocket failed to ignite. The missile dropped back onto its launcher, exploding inside the bunker.